Mr. Phillips brings to Springer Financial Services a wealth of skills and experiences related to helping individuals, families and small businesses manage their financial assets and make prudent decisions around the use of credit. 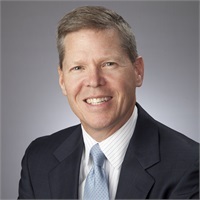 Prior to joining Springer Financial Services, for 15 years Steve managed high net worth client relationships for Wells Fargo Wealth Management, Robert W. Baird & Co. and JPMorgan Chase Private Bank in Fort Worth, and 10 years oil & gas banking to privately-held and independent businesses with ING and Christiania banks in New York City. Mr. Phillips holds a B.S. degree in Geology from the University of Mississippi and an M.B.A. from the University of Texas at Austin. He is a Chartered Financial Analyst and holds Series 7 and 66 licenses. He and his wife, Beth, have two sons and a daughter. Mr. Phillips currently serves as a Board Member of the Cook Children’s Child Study Center, is on the advisory board of Victory Temple Ministry, and is the Senior Warden of Christ The Redeemer Anglican Church.